Independent nonprofit organizations NTEN and Idealware partnered to conduct a comprehensive study of 32 fundraising solutions designed for small to medium-sized nonprofits, and DonorPerfect came out on top! 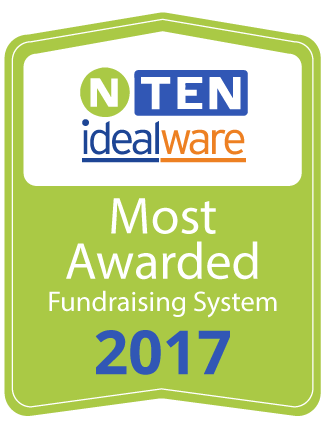 For the fourth consecutive time, DonorPerfect fundraising growth platform and donor management system was awarded the number one rating in 18 out of 19 categories in NTEN and Idealware’s A Consumer’s Guide to Low-Cost Donor Management Systems. DonorPerfect is unmatched in providing the most popular features nonprofits seek when evaluating fundraising software. Complete the form below or call Sales: 1 877 938.1221 to receive more information, including a FREE, no-obligation price quote tailored to your organization's specific needs.